These are the ranges used by Yuvraj Singh, Brendon McCullum and other Test cricketers around the world. This equipment is stocked heavily at DCO and can also be purchased at some of the most discounted prices on the web. Buy Now at Discount Cricket Outlet. The last few years has certainly seen a vast rise of Puma cricket equipment on the circuit, a major testament to the quality of products that Puma have distributed. The 2017 evoSpeed range is no exception. One of the newest and most exciting bats to be released this year, we are likely to see a surge of preference towards to 2017 Puma evoSpeed range. 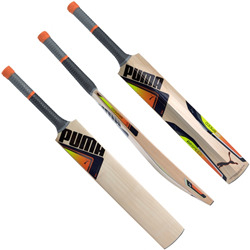 There has certainly been a recent shift towards Puma cricket equipment, mainly down to the sheer quality of the bats that they are producing. The 2017 evoPower range, like the evoSpeed, is a monster bat, designed purely to bludgeon the ball to the fence. 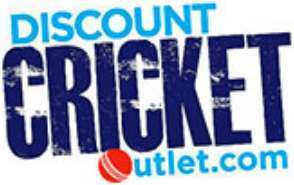 If you purchase a Puma Cricket Bat from Discount Cricket Outlet, the one thing you won’t be short on is quality as each and every individual bat is picked by experts and ex professionals to ensure that we are supplying you with the best blade possible.